Jack/Edward (George Clooney) is an American assassin hiding from other assassins in Castle del Monte, Italy. While working on an assignment, he befriends Father Benedetto, the local priest, and also falls in love with a young, beautiful prostitute named Clara, which makes him consider abandoning that way of life for good. The consequence of that decision may prove deadly. This movie is like a puzzle to me. 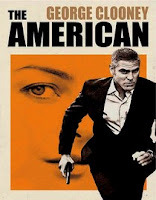 Not only George Clooney’s acting is dispassionate and flat, even when he swears he is in love, but there are plenty of unanswered questions left; for example, why do the Swedes want to kill him? Why does his boss want to kill him when he wants out? Who was Mathilde trying to kill and why? Anyway, the only thing very clear in the film is that he can build an automatic weapon from scratch, and even the priest seems to figure that out, but that path is not explored further. The movie is short on dialogues, emotions and explanations. 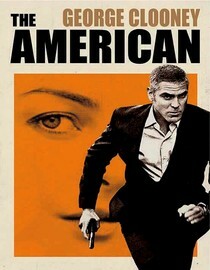 Not Clooney’s best!